Lear Werts LLP represented a man who sustained multiple injuries while crossing a downtown Columbia, Missouri street, in a crosswalk, when he was struck by an on-coming vehicle. The vehicle was making a left-hand turn and did not see the pedestrian. 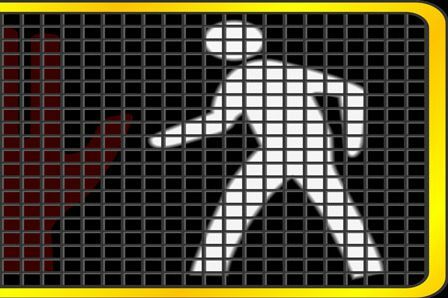 Pedestrian accident caused by inattentive driver. In this case, our client was crossing a downtown Columbia street when he was struck by a car making a left-hand turn. Our client was a wheelchair-bound young man who had severed his spinal cord during a car accident 15 years earlier. The at-fault driver had stopped prior to the accident at a traffic signal and was turning left onto the street our client was crossing. Even though, the driver only traveled a very short distance prior to the crash, the impact had enough force to knock over our clientâ? ?s powered wheelchair and throw him to the ground. Our client, who was paralyzed from the mid-chest down, had limited medical bills, but the injuries he sustained caused permanent damage to several parts of his body. When the client came to our office, he already had a modest offer from the at-fault driverâ? ?s insurance company. We were able to work with the client to obtain an expert opinion regarding the scope of his injuries and the long-term impact of this accident. After our office became involved, our client ultimately resolved his case for the overall policy-limit of the defendant driver which was several times more than his original offer. Columbia is home to three major educational institutions: the University of Missouri, Stephens College, and Columbia College. As a result, there are often a large number of pedestrians walking near the roadways of Columbia. Unfortunately, this proximity can lead to serious accidents. The personal injury lawyers at the Lear Werts law firm can help you to maximize your recovery for injuries caused by an inattentive driver. Call our office, toll-free, at 573-875-1991 for a free consultation to speak with an attorney about your situation to see if we can help.